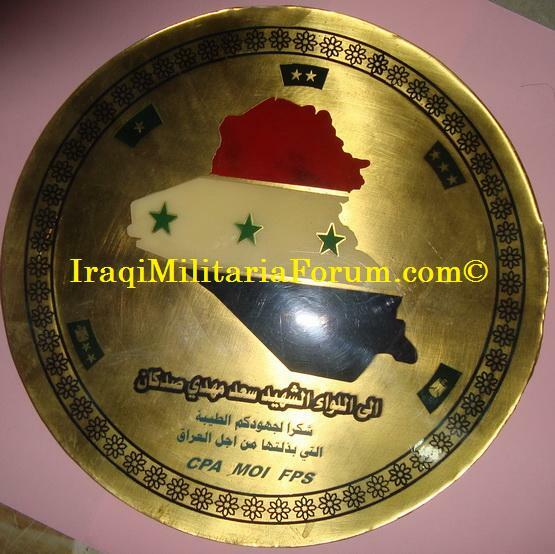 FPS: Facilities Protection Service, an Iraqi paramilitary organization. I just picked this Table decorate up today from a dealer in Baghdad, I will honor the fallen General and respect his sacrifice. -this piece should be glued to a backboard and placed in a half opened size case to stand up at a closed 95 degree angle. Thank you for viewing I look forward to your replies.